One of the leading radiator brands in the UK has announced the launch of the first LST radiator under the brand. 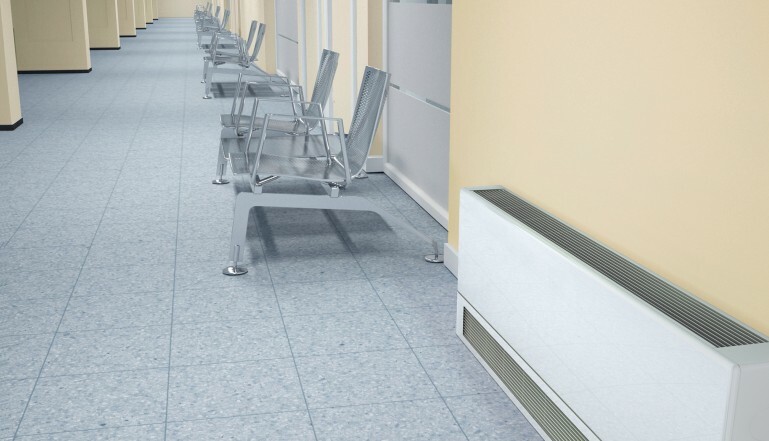 The Henrad LST Standard adds the important facility to specify and install LST radiators from the same range as the leading Compact radiators in the UK. Radiators play an important role in today’s lifestyles. They are the focal point of many rooms, so they should reflect the aspirational needs for good looks as well as a comfortable environment. Henrad is increasingly the radiator range to satisfy all these expectations. As part of the Ideal Stelrad Group, Henrad has a highly respected pedigree. Within the current portfolio, the Compact range is unsurpassed, offering over 140 variants to meet specific needs. And, representing the demand for leading edge design, the Verona, Everest Line, Alto Line and Column styles are already well established. Recently, Henrad added some stunning new products, including the Arno Single, Arno Double, Arno Curved and Verona Towel Rails to give even more choice for the home. There are also plenty of variants that now include the option of stylish modern colourways to further enhance the decor in any room. Now the new Henrad LST Standard radiator has been added to the brand to provide yet another option for Henrad specifiers and installers. The Henrad LST has been especially designed to meet the highest standards for low surface temperature radiators. It meets the NHS guidance for safe hot water and surface temperature. It offers the option to reverse the attractive outer casing to suit the pipe layout and comes as one complete package – with all the components needed to fit it. For added peace of mind for many of the environments in which it will be fitted, its paint finish is anti-bacterial. The radiators are tested to the highest standards – the emitter has a maximum working pressure of 116psi (8 bar) and conforms to BS EN 442. As you would expect from a radiator of this quality the emitter comes with a 10 year warranty and the casing comes with a 5 year warranty.